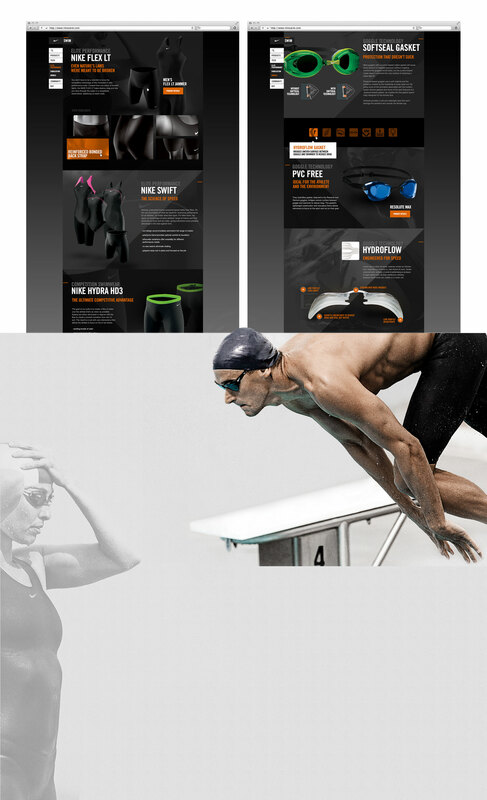 After designing and building a parallax microsite for Nike Swim during the 2012 Olympics, Nike was ready to pursue a more comprehensive site that would showcase their full product line, as well as their newest developments in swimwear technology. Excited by the opportunity to produce the first comprehensive Nike Swim site, Locus Interactive architected, designed and developed a site that looks congruent with other Nike-branded sites but stands apart in simple, site management. Unique of its competitor sites, Nike Swim delivers numerous ways to find the ideal swim gear for all levels of athletes. Aside from the traditional search feature and product filtering, consumers can find their perfect suit by using the ‘Silhouette Guide’ and ‘Color Guide’ tools found in the primary navigation. With these tools consumers can shop Fast-Back Tank suits if that is their style preferrence and schools looking to purchase uniforms, can now see all swimwear and swim gear in their team color, on a single page. That being said, most would argue that the excitement is in the Technology section of the website. It is here that new product technology stories are told through interactive product renderings and highly impactful videos featuring 3-D animation. 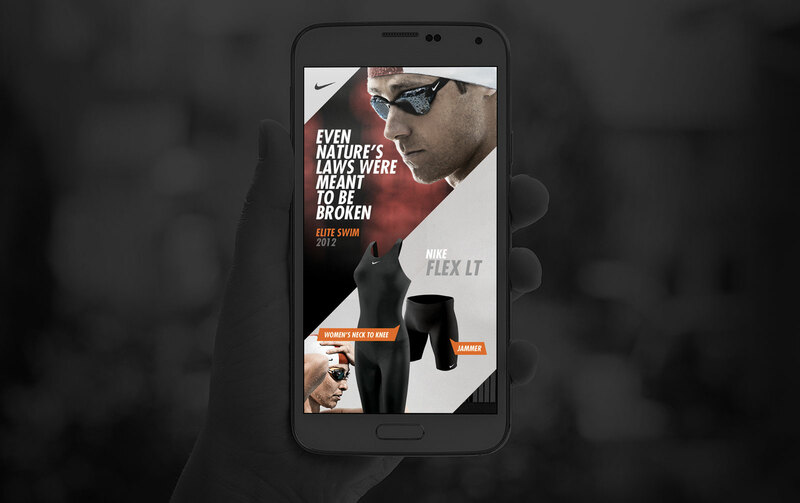 Clicks, mouse-over actions and scrolling reveals how the products perform in water and teach consumers why Nike Swim’s latest innovations are being called the ‘Next Generation of Fast’. In 2012, the first branded Nike Swim site made its debut. A simple, one-page experience introduced Nike Swim’s latest technology in elite swimwear—just in time for the Olympics. 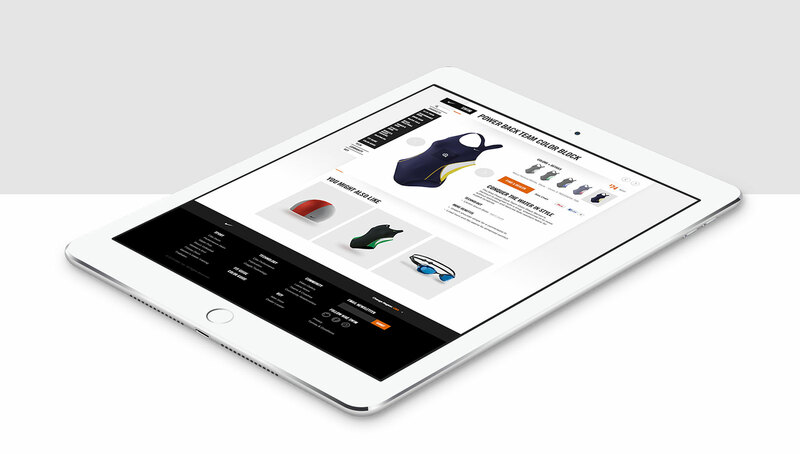 Early 2013 brought a more comprehensive nikeswim.com, featuring a robust product catalog and interactive technology pages. Interactive technology pages were created to tell the deeper product story and support the product detail pages.